Fishing and boating usually go hand in hand. Naturally, anglers who possess refined boating skills are often very good at finding and catching fish. Boat handling expertise improves confidence and efficiency on the water and enhances your fishing output. Here are some practical boating tips and strategies will get you moving on the water faster and put more fish in the net. Be efficient and launch and retrieve like a well-oiled machine. 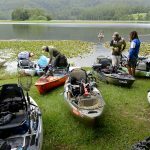 A fast and well-organised launch will increase the amount of time that you have on the water fishing and may get you to the best spots before other anglers. Maintain a routine so that you know the bung is in, the location of the winch handle, and where to stow the straps. A methodical system will ensure that you never forget any critical steps or equipment. Stop, de-strap, and load all of your fishing gear onto the boat before driving onto the ramp. 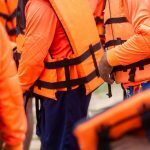 This logical procedure speeds up the launch process and is considerate of other boaters. Remember to leave the safety chain on until the trailer is backed into the water. Despite what people say, having a big boat isn’t everything. Some of the best fishing is found in tight and relatively inaccessible waterways. A small tinny, canoe, or kayak can provide access to these hidden gems and help you uncover some incredible fishing action. On the other hand, the larger craft will usually handle rough conditions well and allow you to get out wide and wrangle with sea monsters. There are several ways to position and manage your boat to enhance your ability to fish. Ensure that you anchor on the up-current side of any feature that you intend to target when baitfishing. This guarantees that the anchor rope is behind you and that baits can easily drift down towards the target area. If the wind is blowing in an opposing direction, a bow and stern anchor will provide more stability and is a great way to prevent any swing. Inshore drift fishing with soft plastics requires long casts into the current. When the boat drifts at a similar rate to the sinking jig it allows it to get down to the required depth. On the contrary, working plastics back against the current tends lifts them high into the water column hinders their ability to reach the fish. 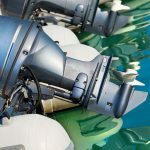 Of course, the best way to enhance control of your boat for fishing purposes is to install an electric motor. Electric motors dramatically improve manoeuvrability and help to hold position without the aid of an anchor. In estuary environments, motor your electric against mild currents to gain greater control of speed and positioning. Unfortunately, fishing with the current leads to fast drifts that make accurate and thorough casts extremely difficult. 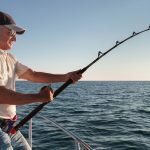 Although fishing can take place on many types of vessels, it’s wise to carefully consider the layout of your boat if fishing is your primary intention. Lure anglers often need to make tricky casts into nooks and crannies. Therefore, a flat, open deck that permits creative casts from multiple angles is ideal. Minimising deck clutter will also reduce the chance hooking someone or something on board. Although structures like canopies make lure fishing and casting very awkward, they are perfectly suited to bait fishing applications. They also provide plenty of shade and protection from the sun. Canopies are a great option if you are soaking baits with the family. Think carefully about the style of fishing that you undertake and tailor your deck space with the fishability factor in mind. Use hatches, rod holders, cup holders, and tackle storage solutions to keep decks clean and tidy. Marine electronics have advanced rapidly in recent years. Vast improvements in GPS accuracy and mapping technology have provided us with the ability to reliably locate and revisit marks. 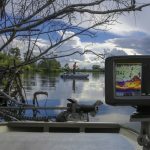 Anglers can also visualise the underwater environment with greater accuracy than ever before. In fact, sonar imagery and resolution are so advanced that the exact shapes of underwater structures and individual fish may be identified. Marine electronics are a powerful weapon for finding fish. You no longer need to guess where the fish are. We can see them! Next time you’re preparing your boat for a fishing outing, think about the tools that you have on board and the way that you handle and manage your boat. 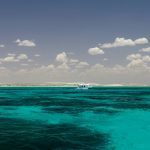 By refining some of these aspects of boating, you’ll spend more time fishing and have more capacity to catch fish. Is there anything we missed? Share your experience and knowledge with everyone.